So this is the first time in HTL's 3 months of living that we're straying from our usual style of post. 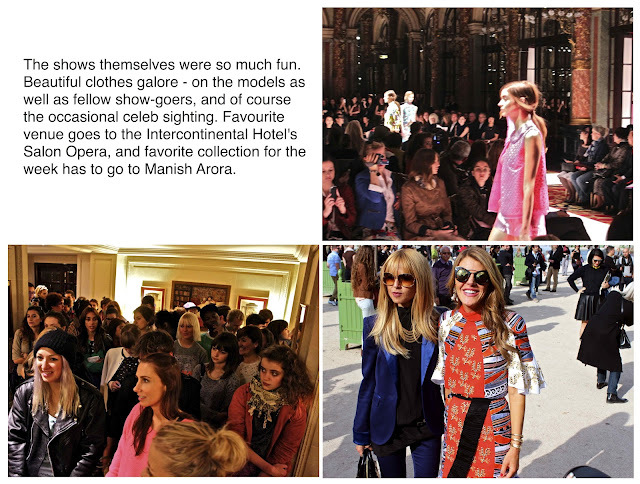 We had such a hectic time at PFW that there was no way we could fit every adventure and every outfit into the usual daily entry, so we thought we'd write a wrap up to finish off the week. Plus, who doesn't love a good collage or two? Just showing up to the events was quite an affair, with up to hundreds of journalists, bloggers and fans outside each show. We loved getting photographed and interviewed before going inside, although we did come across the occasional disgruntled journalist who was less than friendly to say the least...we decided this was just all part of the experience (and made a mental note to say no to them taking our photo at the next show). As crazy as our days were running between venues, we did manage to squeeze in a little quality sister time in the City of Light. 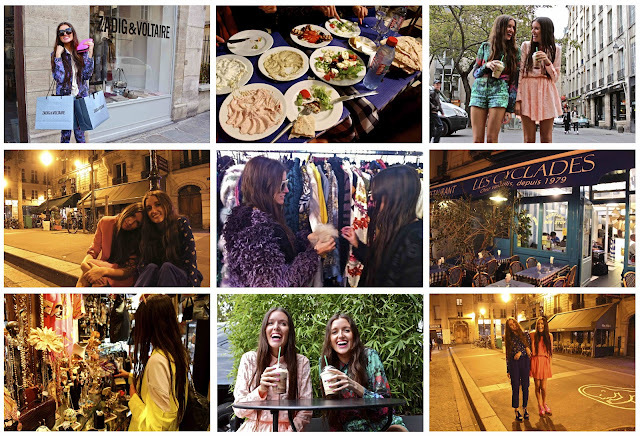 Morning Starbucks runs, our favourite local Greek eatery and the odd shopping spree all became part of our Paris routine. Huge Thanks To the girls from Little Hero, Cirqlate Publicity and Down Yonder as none of these amazing outfits would have been possible without them.